Fenway Park is the site of the matchup between the Toronto Blue Jays and the Boston Red Sox on Wednesday, September 27, 2017. The probable starting pitchers are Marco Estrada for the Blue Jays and Rick Porcello for the Red Sox. Toronto opens at +167 while Boston opens at -177. The Blue Jays have a 70-80-7 over/under record and a 73-84-0 run line mark. The Red Sox are 82-74-0 against the run line and have a 67-83-6 over/under record. The Blue Jays have a 74-83 overall record this season. Starting pitcher Marco Estrada has a 10-8 record with an earned run average of 4.70 and a WHIP of 1.35. He has 174 strikeouts over his 183.2 innings pitched and he's given up 177 hits. He allows 8.7 hits per 9 innings and he has a FIP of 4.56. The bullpen has an earned run average of 4.24 and they have given up 526 base hits on the year. Teams are hitting .238 against the bullpen and they've struck out 611 hitters and walked 207 batters. As a team, Toronto allows 9 hits per nine innings while striking out 8.4 batters per nine innings. They are 14th in the league in team earned run average at 4.43. The Blue Jays pitchers collectively have given up 1,419 base hits and 700 earned runs. They have allowed 197 home runs this season, ranking them 13th in the league. Toronto as a pitching staff has walked 541 batters and struck out 1,328. They have walked 3.4 men per 9 innings while striking out 8.4 per 9. They have a team WHIP of 1.38 and their FIP as a unit is 4.33. As a team Toronto is hitting .241, good for 29th in the league. The Blue Jays hold a .412 team slugging percentage and an on-base percentage of .314, which is good for 26th in baseball. They rank 28th in MLB with 8.2 hits per game. Justin Smoak is hitting .273 with an on-base percentage of .358. He has 149 hits this season in 545 at bats with 89 runs batted in. He has a slugging percentage of .538 and an OPS+ of 130. Kevin Pillar is hitting .254 this year and he has an on-base percentage of .300. He has totaled 147 hits and he has driven in 42 men in 578 at bats. His OPS+ is 83 while his slugging percentage is at .405. The Blue Jays have 1,285 hits, including 263 doubles and 214 home runs. Toronto has walked 531 times so far this season and they have struck out 1,266 times as a unit. They have left 1,042 men on base and have a team OPS of .726. They score 4.29 runs per contest and have scored a total of 674 runs this year. Boston has a 91-65 overall mark this year. With an earned run average of 4.55, Rick Porcello has a 10-17 record and a 1.39 WHIP. He has 173 strikeouts over the 197.2 innings he's pitched. He's also given up 229 hits. He allows 10.4 hits per nine innings and his FIP stands at 4.56. The bullpen has an earned run average of 3.00 and they have given up 412 base hits on the year. Teams are hitting .220 against the Red Sox bullpen. Their relievers have struck out 547 batters and walked 168 opposing hitters. As a team, Boston allows 8.3 hits per nine innings while striking out 9.6 batters per nine innings. They are 3rd in the league in team earned run average at 3.61. The Red Sox pitchers as a team have surrendered 1,322 base knocks and 573 earned runs this season. They have given up 182 home runs this year, which ranks 23rd in Major League Baseball. Boston as a staff has walked 443 hitters and struck out 1,518 batters. They give up a walk 2.8 times per 9 innings while they strike out 9.6 per 9. Their team WHIP is 1.24 while their FIP as a staff is 3.71. As a team, they are batting .258, good for 12th in the league. The Red Sox hold a .407 team slugging percentage and an on-base percentage of .331, which is good for 9th in baseball. They rank 8th in MLB with 9.0 hits per contest. Mookie Betts comes into this matchup batting .265 with an OBP of .343. He has 164 hits this year along with 101 RBI in 619 AB's. He maintains a slugging percentage of .457 with an OPS+ of 108. Xander Bogaerts is hitting .267 this season and he has an OBP of .339. He has collected 147 hits in 550 at bats while driving in 57 runs. He has an OPS+ of 92 and a slugging percentage of .393. 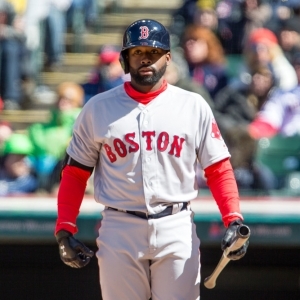 The Red Sox as a team have 1,411 base knocks, including 289 doubles and 162 home runs. Boston has walked 559 times this season and they have struck out 1,167 times. They have had 1,101 runners left on base and have an OPS of .737. They have scored 4.86 runs per contest and totaled 758 runs this season.